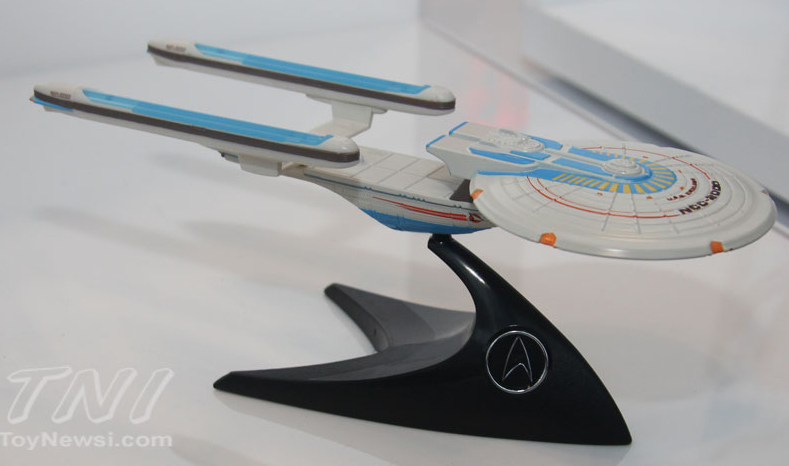 Hasbro weren't the only Star Trek toy makers at this weekend's Toy Fair; also in attendance were Mattel, who were showing off the latest additions to their range of Hot Wheels Star Trek starships. 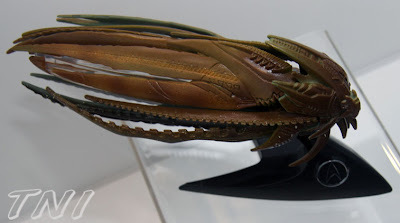 Having released a few waves of ships back when the last film came out, Mattel are designating this latest release of four ships Series 1 again. 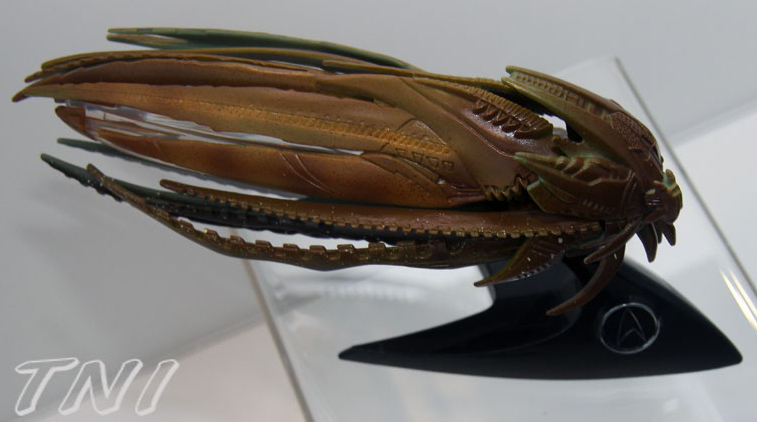 Three were on display at the Toy Fair, the fourth is reportedly a design from Star Trek Into Darkness, so may have been kept under wraps - Rumours a little while ago suggested this would be a Klingon design, so perhaps we'll see another version of the new Klingon Bird of Prey beside the Kre-O rendition. On display were new USS Kelvin and USS Excelsior models, and the Narada, which was previously released in a multi-pack. The Kelvin is especially exciting as it will be the first toy version of that ship, and in fact will probably be the first model of any sort, with a Hallmark Christmas decoration version due out this year, and a QMx studio model coming at some point. 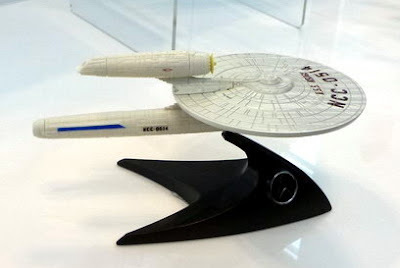 UPDATE: Star Trek collecting guru, John Tenuto, has tweeted me to note there has in fact been one Kelvin before, in the form of a caracaturised toy version released in Burger King's range of Star Trek 2009 promotional toys. So this new one will be the first accurate looking version! Entertainment Earth have this latest assortment up for pre-order already, they are expected in time for the release of Star Trek Into Darkness, in May. You can find more images of these at Toy News International, and Figures.com.